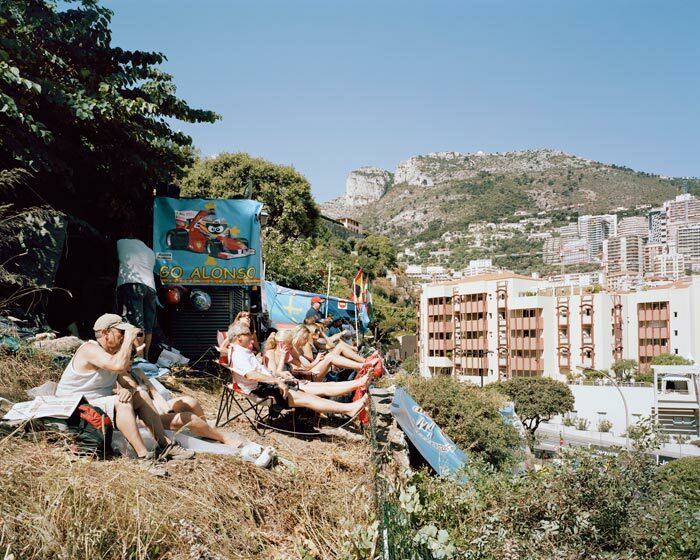 "In Monaco the office blocks and luxury housing towers interlock in a precarious balance on the terraces cut into the hillside, like impossible constructions. 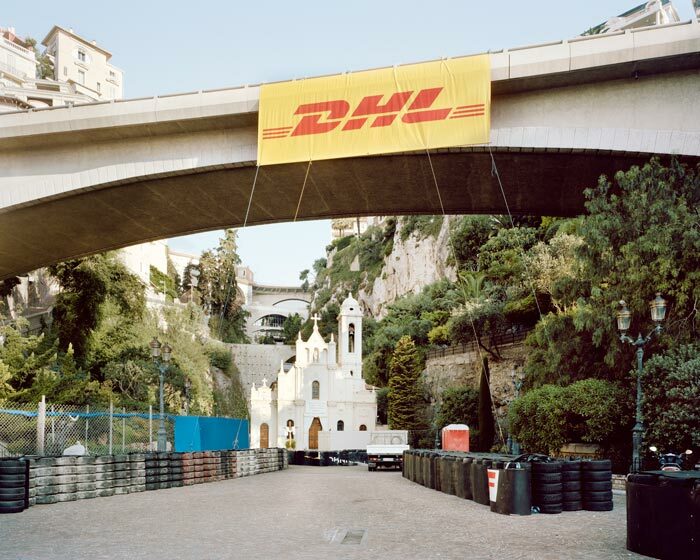 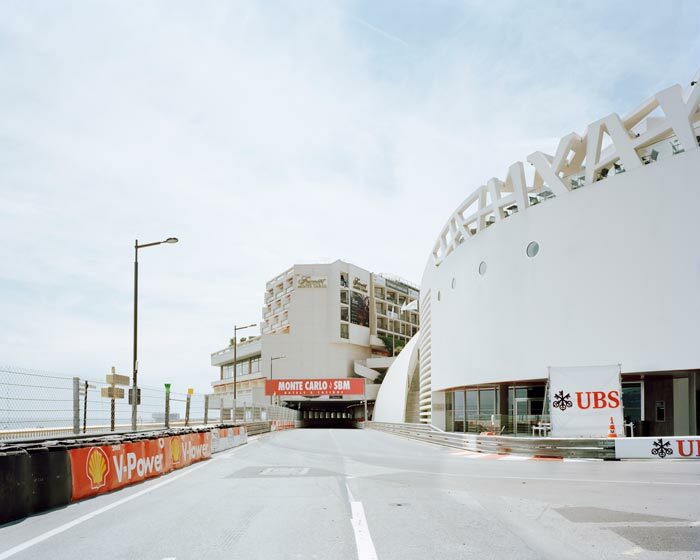 Every year, this already saturated urban scene is transformed into a giant Formula 1 track, immersing the city in an extraordinary state. 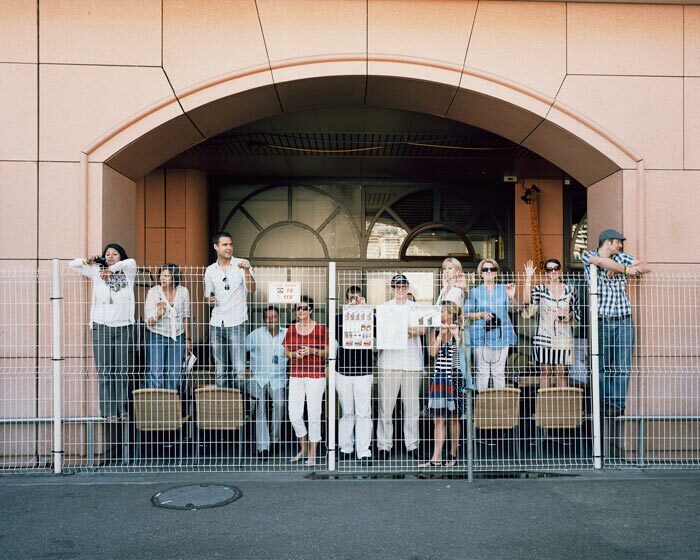 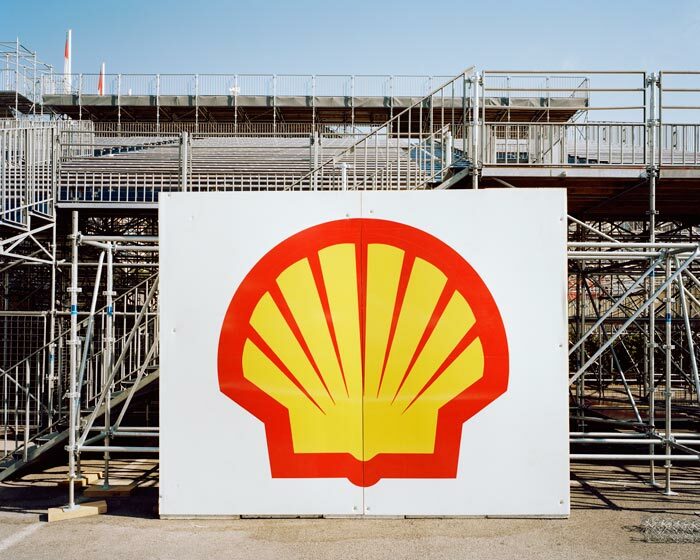 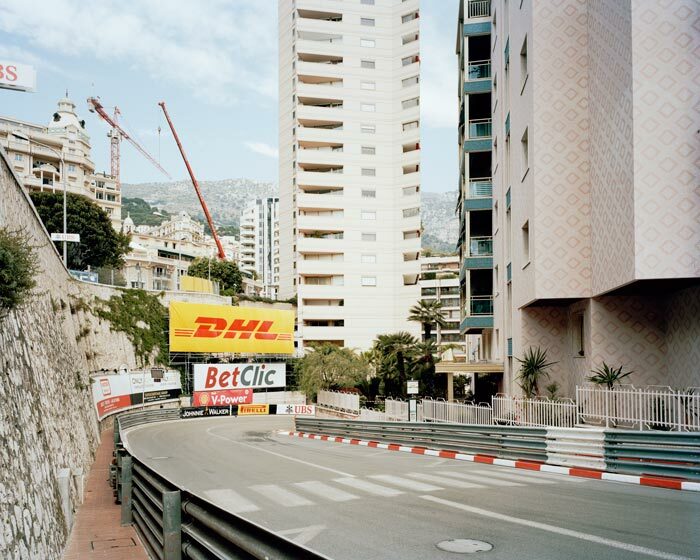 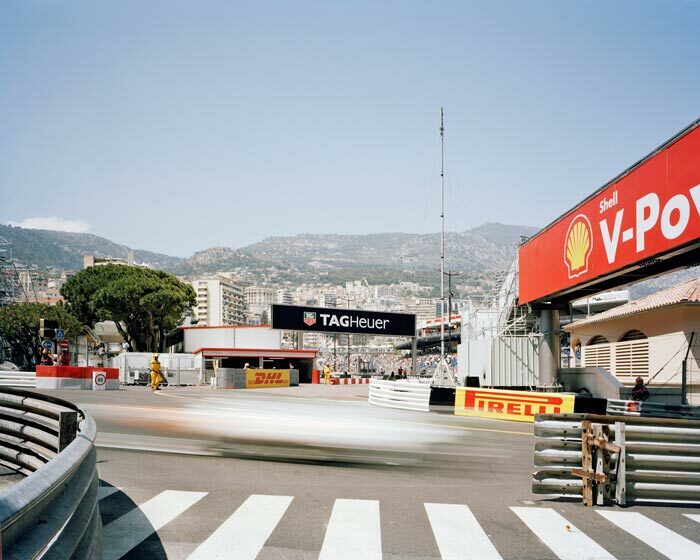 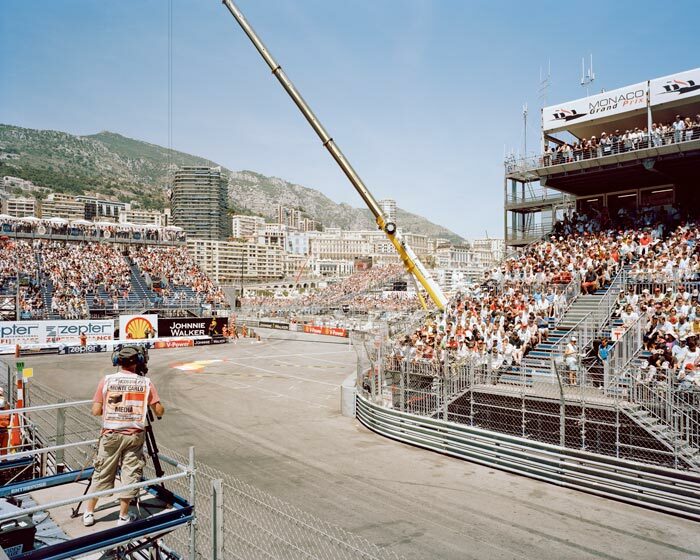 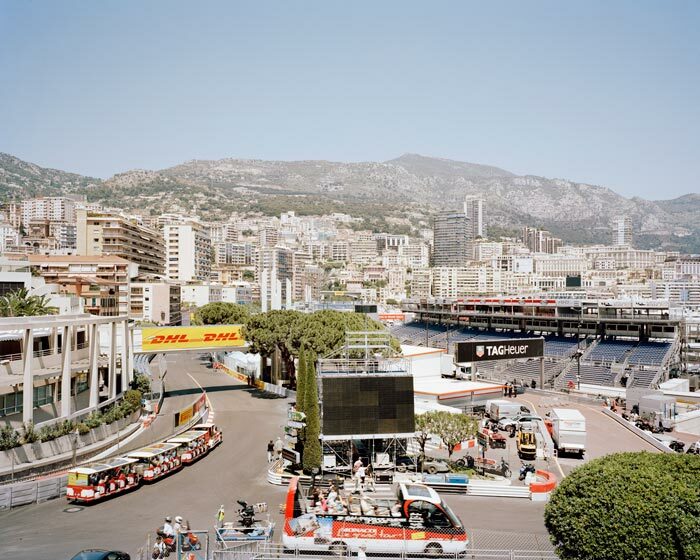 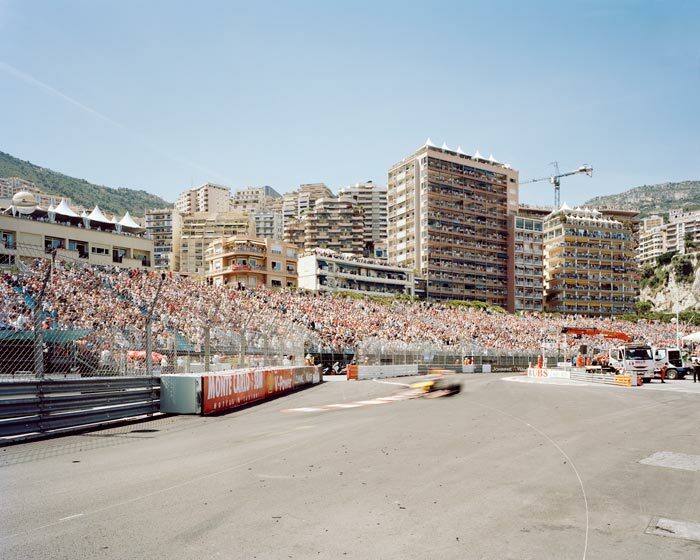 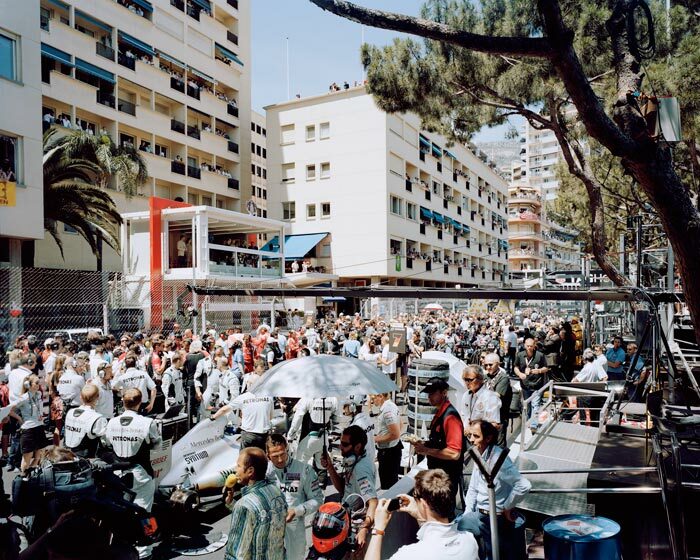 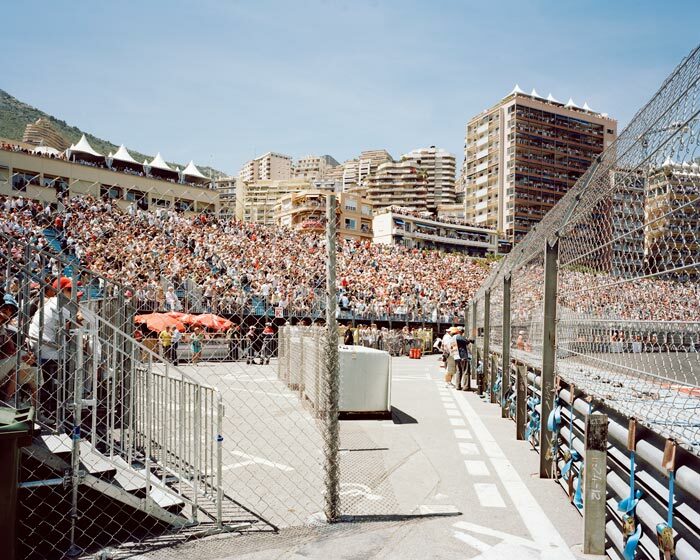 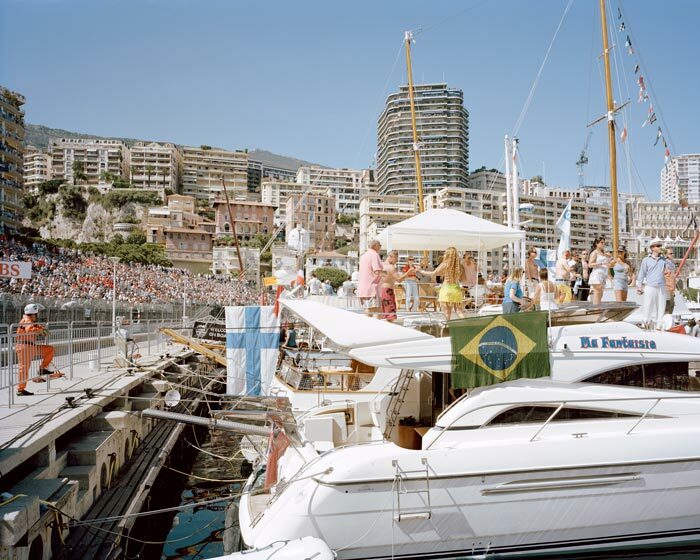 While the race can never be truly visible for the view camera, it remains at the centre of this piece of work, whether by its absence or by its ghostly presence. 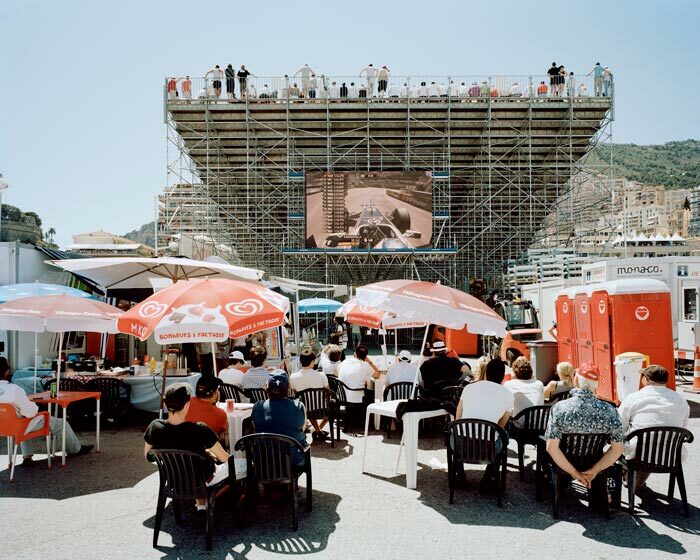 The position adopted combines both temporal distance in relation to the event and a displacement of viewpoint making it possible to install a critical space."